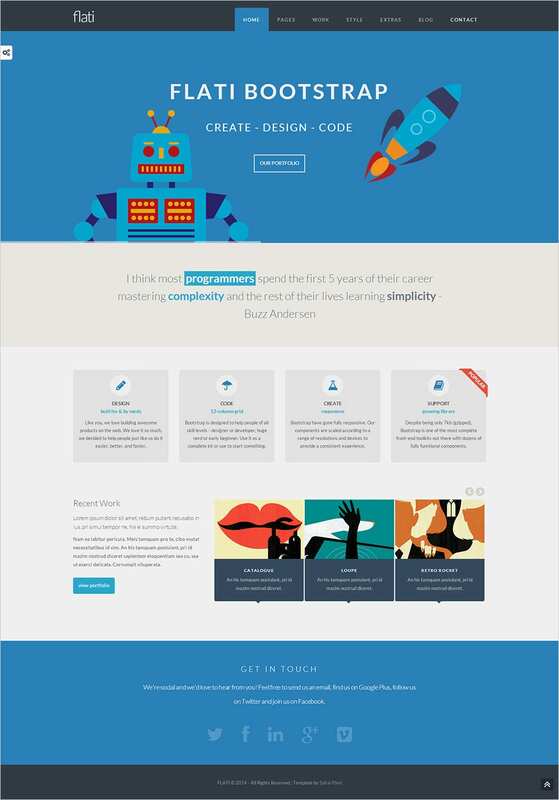 Looking for Best Flat Design Website Templates? Then your search ends here. 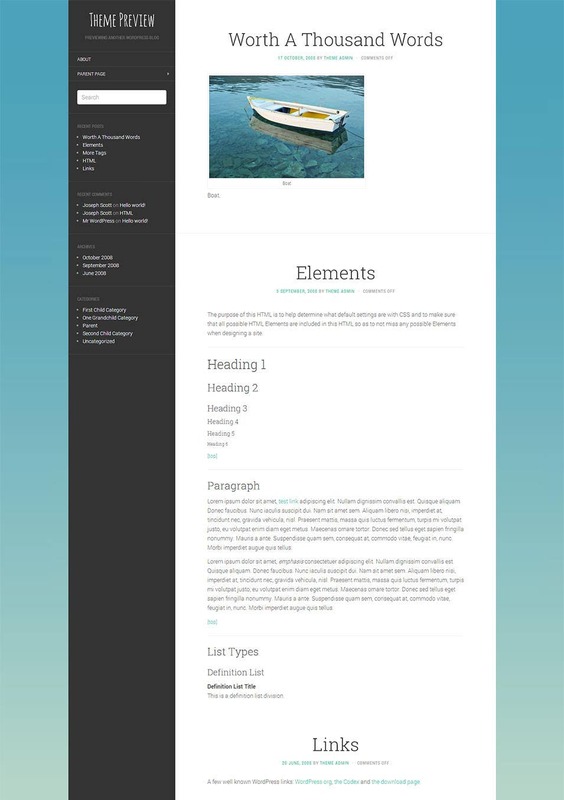 These templates are responsive owing to which they can be functional in all browsers and adapt to any kind of device. With multipurpose web designs that can be customized to user’s intended use, the premium templates offer some great characteristics. 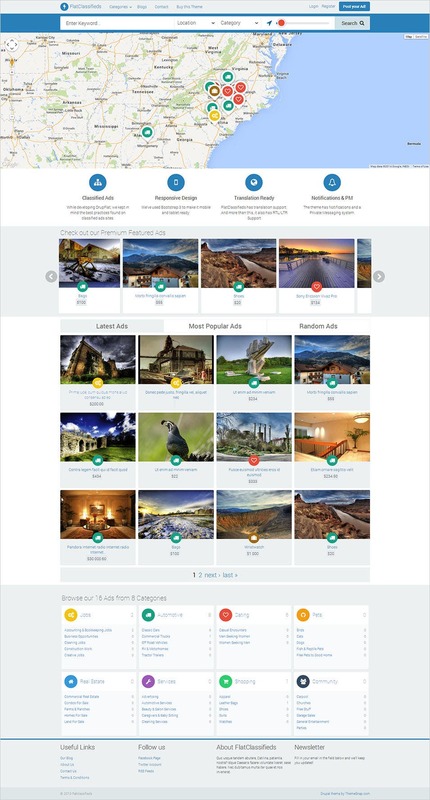 It certainly makes it wonderfully easier to put the templates to work for a variety of fields like portfolios, corporate, real estate or e-commerce. 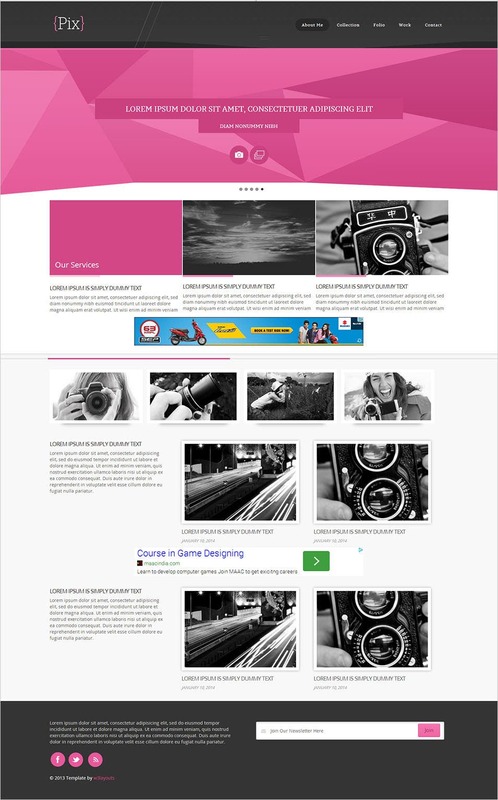 The templates are very user friendly and laced with top-notch features and good looks. 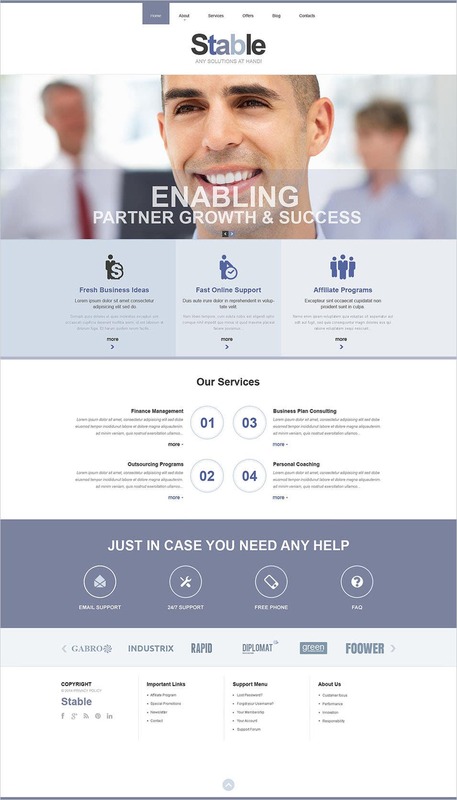 The floating header menu is most convenient and highly usable along with the smooth scrolling pages which are aesthetically pleasing and technologically sound too. It is irrespective whether it is a mobile web application or any other dynamic website, the templates provide the options to change images and other content very easily. 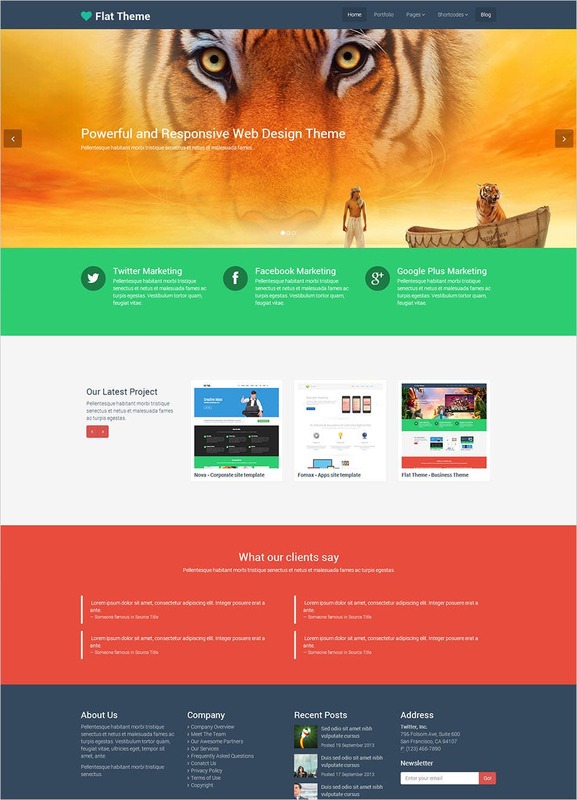 Also, the templates come equipped with a clean and minimal flat design which is fully editable and built with advanced web technologies like HTML5 and CSS3. With great ease in installations and use, they are a dream to work on. Check them out either in their free avatars or the payable ones; either way they are great ways to design your websites independently. Need an editable and easily customizable template for your project. Take a look at the wide array of flat designs that have been created to suit the need of all types of projects. Choose the one that seems to match your needs perfectly and download these. Personalize the template to get your project going. 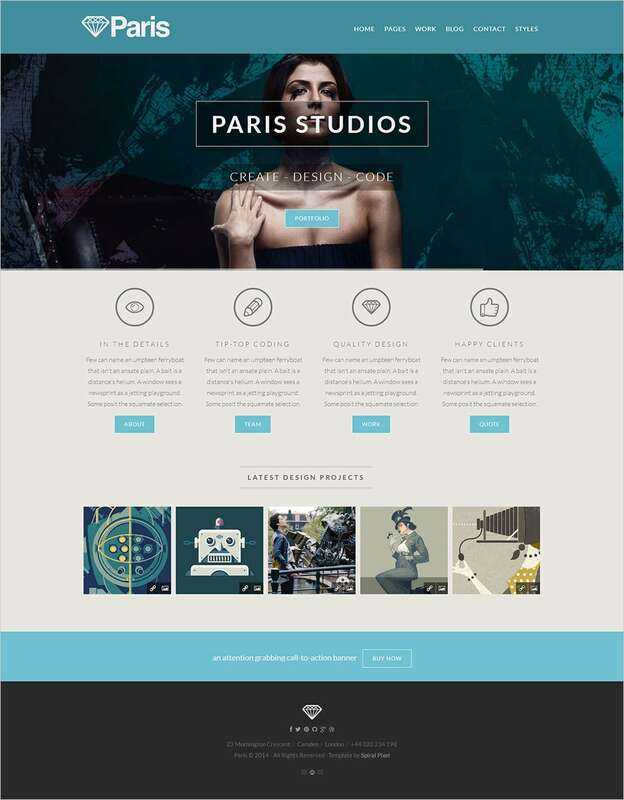 If you have got anything to do with fashion and are looking for a flat template design to take this forward, Paris is the perfect choice for you. Designed, using elegant colors that do not take away the emphasis from the facts, this template is sure to add to the charm of your pet project. Take a look at this template. Beautifully color coordinated, this template can be easily customized to put in all the required details that you want to convey. Whether you plan to make a presentation or start a blog, this flat design template is sure to fit in well. 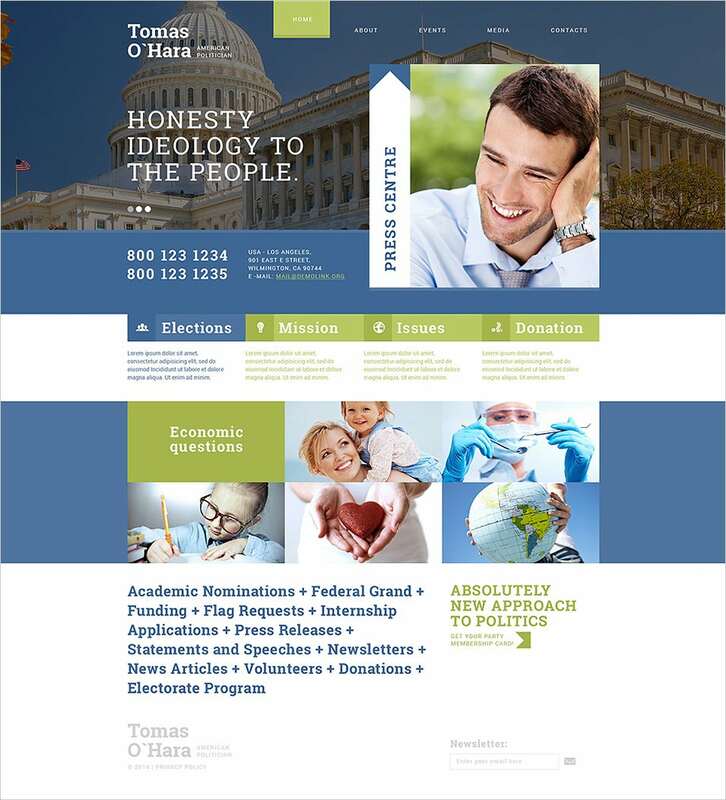 Designed using real time, high resolution images and beautifully color coordinated columns and headings, this template is perfect for housing a presentation or a web site. Get a demo to see if you like it and then download it. This can be very easily edited to suit the requirement of your project. If you are thinking for starting a new venture and planning to launch an interactive user interface, go ahead and download this amazing flat template that would work just fine. With its stunning looks, it is sure to attract a lot of traffic. What’s more, you can personalize it too. 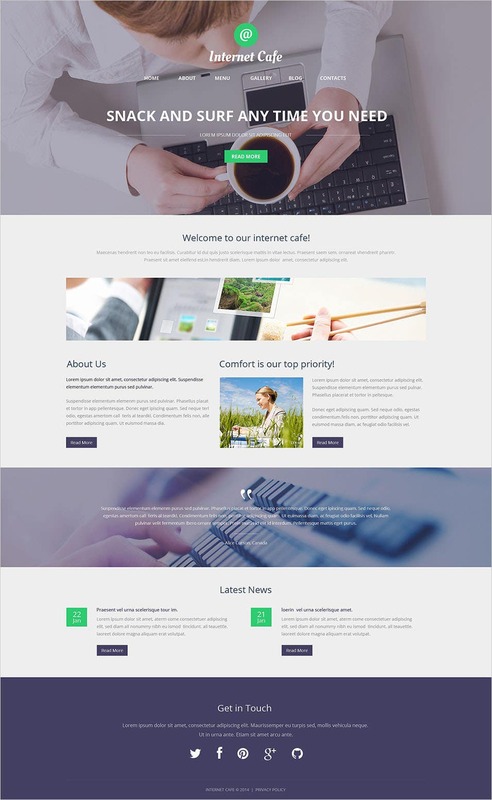 Looking for a very professionally designed template that you can use for your business blog or your organization? 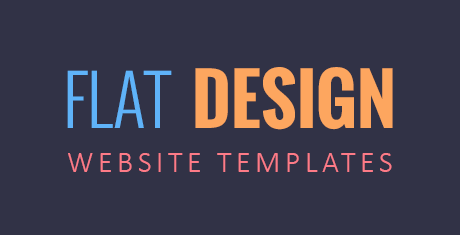 Here is a perfect flat template design. With its highly professional and serious design, this template can be customized and can hold all the crucial details of your business house. 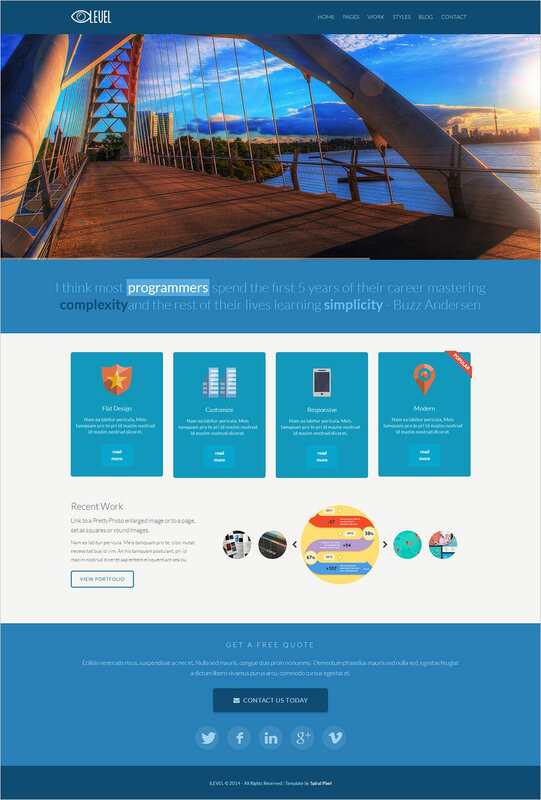 Whether you are looking for creating a new professional resume or starting a new blog, here is a flat template design that can do justice to all this and more. Fill in all the required details to personalize it and it dons the look of an entity created by a professional. 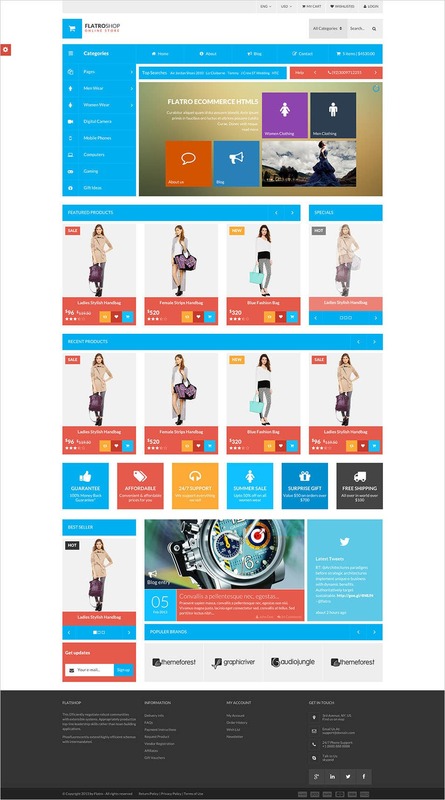 There is no denying the fact that an e commerce website needs to look very vibrant and at the same time interactive. 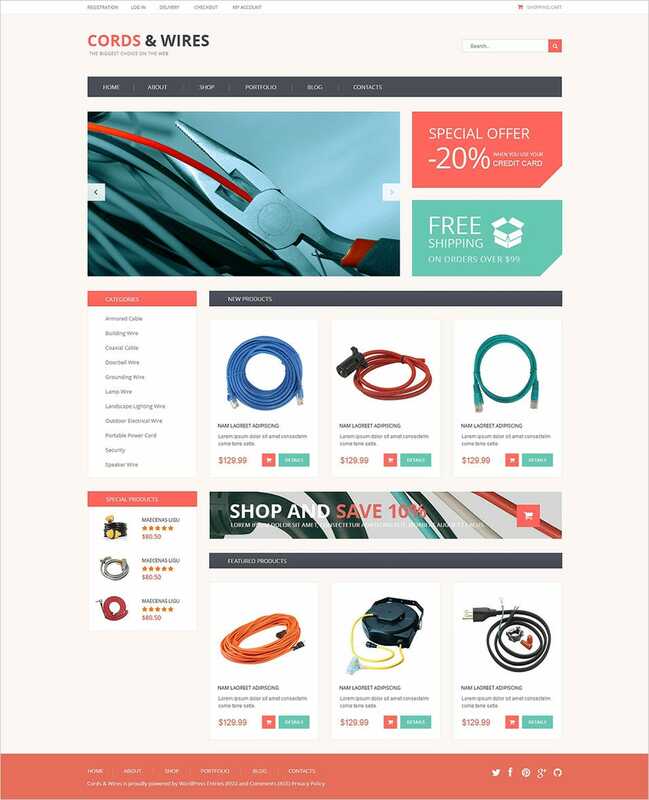 So, if you are planning to start such a website or are designing one, making use of this flat design template can gain you some rosy points. No matter, what your need is, if you want to attract traffic, you need to give your venture an attractive look. Doing it with flat template designs would be a great idea. This template design with many vibrant colors is definitely a perfect choice for your venture. Download this and customize it to meet your needs.